Starved Rock State Park, Illinois, USA. 2nd March 2014. 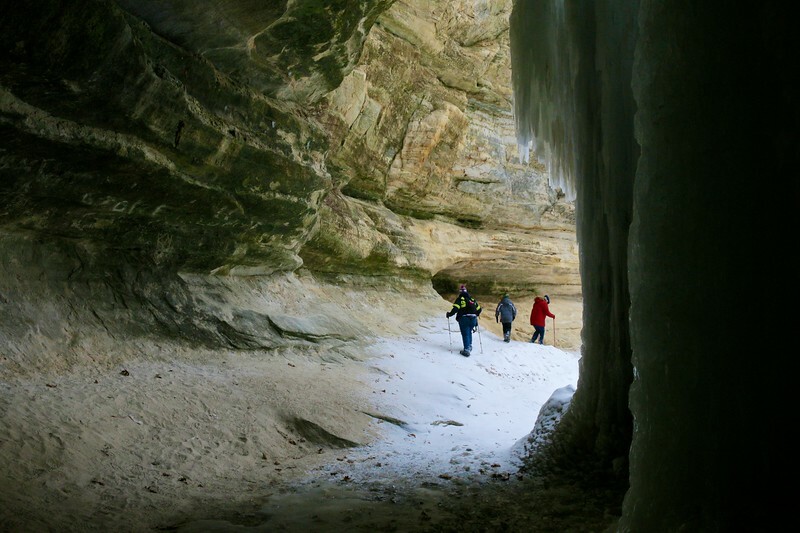 Hikers in LaSalle Canyon is framed by a frozen waterfall and canyon walls. Sadly, someone has defaced the rock in this picturesque area southwest of Chicago.